Discussion in 'General Role Play Discussion' started by Satoren, Jun 14, 2010. Okay, flashing back to pre-fallout Charms, I noticed there were a lot of hit-and-miss RPs; RPs with no real plot, RPs that eventually died because of lack of development etc. This thread is basically for people to discuss RPs they'd like to start here in the forums. You can talk about the plot, basic concept and the like. By doing so, other users can show their interest in the RP, and you'll be sure to have RPers who are willing to see your project to the very end. You can also get other users' opinions on how your RP can be better. Also, please don't go flaming or criticizing someone's RP concept without any real reason. Double Posting to get the ball rolling, and also because this query is gonna be fairly long. I have a couple of ideas I'd like your opinion on. If enough people are into it, I just might post one of thes RPs some time next month. Firstly, with regards to Pokemon-based RPs, I'm thinking of bringing two particular ones back: Acid Viridian, a PMD-themed RP, and Secret of the Aura Guradians, a normal PRP that had what I felt was a lot of promise, but no momentum to get it going. 14 years into the future, mankind is now extinct. Their civilization had been wiped out by a mysterious event known to the remaining lifeforms, the Pokemon, as the Great Poisoning. While the humans may have been wiped out, their ruined cities and remants of their time on the planet still remain, and the Pokemon have attempted to thrive there. However, the Pokemon had also been affected by the Great Poisoning, most of them mutating into horrid, super-powered forms. To add to all the confusion, a strange occurence known as Mystery Dungeons soon start popping up. You, the RPer, are tasked to explore this new, dangerous world with several other mutants and normal Pokemon alike, trying to survive, and to possibly solve the mystery behind the Great Poisoning and save the world from further ruin. Long ago, there were humans with unique abilities that allowed them to communicate with Pokemon, nature and life itself. Using the power dubbed as Aura, they were known throughout history as Aura Guardians. However, the secret to their powers had been lost forever to time, or so it seems. Aldoran Castle, home to history's last recorded Aura Guardian, Sir Aaron, is holding their annual Aura Guradian Festival. Hundreds of Pokemon trainers and tourists alike flock to the castle to experience a renaissance fair~Pokemon style, with costumed tournaments, merrymaking and the like. However, a dark presence has infiltrated the kingdom, and seem to be searching for something. What secrets lie within the walls of Castle Aldoran, the resting place of the world's last Aura guardian? Secondly, moving over to non-Pokemon based RPs, I've been wanting to attempt a Persona RP for quite some time now. I, however, don't want to reveal too much here until I'm sure there are people here familiar enough with the series (particularly Persona 3 and 4) So if you think you'd like to take part in one, let me kow and I can further explain the plot and mechanics. Any thoughts on this? Feel free to discuss here. And while you're at it, you can also throw in your own RP ideas and see what everyone thinks about it. "Hiya, Secad. Remember when we discussed the Hogwarts Rp? With the server splosion, the Rp board still needs some fortifying and a new Rp would be a good idea in my opninion. I'm sure we could get a lot of people for a Hogwarts Rp. The idea I had: Hogwarts in 2010. Our characters, in the HP world, finally get eleven and go to Hogwarts, where Prof. McGonnagol (or whatever her name was) had retired as head of school. As the Muggle world has become more advanced, so has the wizard world. Hogwarts now uses normal pens and paper, clothing styles have become more modern. The interior of Hogwarts is still the same, of course, and the magical rumor still makes technology unable to function there. Sounds pretty cool to me. As soon as I get his response, I'll start writing. What do you guys think? Would you be into it? I'm sorry, but the amount of magic in the air screws up any kind of technology. We could, of course, play the trick of coming up with a charm that protects technology from the magic static. But you'll still need to use owls, though, because you're in the midde of nowhere so mobile phones won't connect, and there's no Internet either. So iPods and DS's work? (Except with no Wi-Fi or iTunes.) That charm would be cool, like we could call it Techtris Proto? Just spitballin'. OH, OH IDEA! A Pokemon/PJO X-over RP. ANn I will hold for the applause. 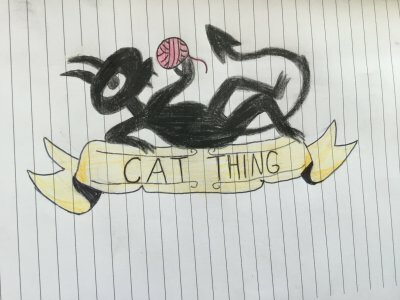 I've already started a story and posted it! (Not on here.) You liek? Keep in mind that the two RPs boards are probably gonna be split soon, guys, so it's best to either keep this thread about Pokemon RPs only or non-Pokemon RPs only. Your choice, RX. We can make a brand new topic of the same concept on the other board once the split is done. No, I still believe we should go with the no-electronics thing to keep it more canon. I quite like all of the ideas that have been brought up thus far. As a massive Harry Potter fan, I would be quite interested in taking part in a RP set in said world. And as for the whole technology thing, I say keep it canon and throw it all out the window. They have magic, they don't need electronics. Both of your ideas sound very interesting, RX. They both take something that's been used before and put an interesting spin on them. The post-apocalyptic PMD RP sounds very promising and could provide for some fun and different questing. And as for Aura one, I originally was weary of it after I read the first sentence or two, but it ended up being a whole lot better then I originally thought. I was afraid it was going to be extremely Mary Sueish, but the actual idea seems not so. I quite like it. Also, the backdrop for the story is still rough, thus allowing for a quite a bit of creative freedom with the RPing. I'd be more then happy to take part in any of these RP's if they are started, as they all sound like fun and interesting ideas. I'm new here, so I thought I'd pitch my RP to you guys so that you can tell me what you think about it. Its based around the digital world, so Digimon for those of you who dont know. There are several Digidestined, assigned with the task of taking down the almighty dark lord of the DigitalWorld, ChaosGallantmon. People can choose what digimon they want, preferably sticking to Rookie or the less powerful Champions, Gatomon, Numemon etc. Along the way, they will meet friendly and less friendly digimon, having they're digimon armor, normal and possibly DNA Digivolve. I hope you guys like the idea, and its a work in progress. I have to say Pokemon Slightly over shadowed this show, and for those who saw it should realise how great it was and is. As the title says, this RP takes place in the Mystery Dungeon World, the exact same land that Time/Darkness/Sky takes place on. It in fact, takes place several years after the main events in the games, with temporal tower and whatnot, so there will be some familiar faces (Especially for those that watched the anime episodes). Also as the title suggests, this is based on the instruments that can be found at the end of some dungeons that boost recruitment for certain types of pokemon. Except these instruments are a lot more powerful than the game makes them, the instruments are able to manipulate the will and mind of a pokemon of its type, and in fact have been used to that exact purpose in ancient times, when there were only seven types of pokemon in the world, and the pokemon were divded into seven kingdoms governed by tyrants (possibly dragon pokemon) who used their instruments to control their subjects and wage war on one another, as the generations of fighting becomes incredibly fierce, nature takes the initiative to end it by creating new types of pokemon, that were not affected by the instrumental influence, as they spread across the land and one by one, forcing the downfall of each of the tyrants, who took their instruments with them to their graves. I'm still working on what happens in the present, whether a rogue gang of thieves try to gather the sacred instruments for their evil designs or one of the tyrant kings gets resurrected in some way and attempts to collect all the instruments for his evil designs. That's basically what I have so far, any comments or ideas are greatly accepted. RX: You've done these RPs before, one with a little more success than the other, so if you were to try these again, getting further along than before would be guarenteed. Secad/Dark Soul: Everybody loves Wizard Education Facilities, so I'd give thumbs up to Potter RPs. The problem is, I can't really see a real plot form from this. I very much doubt there is more than one Wizard-Who-Must-Not-Be-Named with Horcruxes running around, so it be interesting to see what you come up with. PhatnoAce: I actually felt urges to do a Digimon RP every time I watch a season marathon. So if you go ahead with this, I'll probably finish watching the fifth season and come join in if I have the time. I quite like this idea, it's very epic-sounding. The problem with most epic plots though, is that you'd have to find some pretty commited RPers to stick around and actually get to any of the sacred treasures. Also, 7 kingdoms=TCG reference? If so, that is a very nice touch. If you'd like to develop this a bit, you can count me in. And on to some personal projects. I've already begun advertising the eventual return of Acid Viridian to the RP boards. I'm not planning on revealing much yet, but the plot for this RP'll be a bit different from the last, and takes place a few days before the last RP. In short, same world, different story. What this means is a potential to add new faces to the RP, or retcon old ones into a new storyline everyone's comfortable with. Also, with regards to standard Trainer-Pokemon PRPs, any of you familiar with the Delta Species? To be brief, they're a set of Pokemon cards in the TCG that possess typings different from the norm. Most are former pure types (pure psychic, pure fire etc.) who have developed a second Steel attribute (becoming Psychic/steel or psychic/fire for example) while others have downright changed attributes (a fire type horsea comes to mind) The TCG's storyline elaborates that these Pokemon receive the delta mutation due to electromagnetic waves beign released from experiments being conducted by scientists in Holon. I think it has the potential to become a solid RP with a plot like that. Throw in an evil team bent on creating powerful new pokemon types and we already have a pretty good intro. The Delta PRP sounds rather good to me. I'd love an PRP that throws in a little sciencefiction instead of the usual adventures. A plot would, for example, be that Holon is secretly taken over by the evil team and more Delta PokeMon get produced, with the difference that they are evil and actually under the evil team's control and suddenly start wreaking havoc. Or that a special selection of the world's strongest non-elite trainer, aka our characters, each recieve one Delta PokeMon for testing. The Delta's are popular at first, but when an evil team steals the electromagnetic machinery and start producing their own Delta's, our trainers must use their own PokeMon- including their Delta's- to not only defeat the evil team, but to capture the rogue Delta's and return them to Holon. 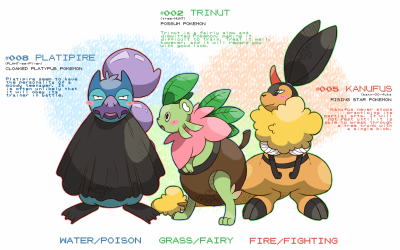 Acid Viridian sounds like a cool idea too. A world where there's no humans, just PokeMon, and the Mystery Dungeon world is born... Our characters form a guild to venture into the dungeons and defeat the PokeMon that are attacking helpless PokeMon. Or something like that. I'd love to be a part of the Delta PRP if you're actually going to start it, Ky! I'd love to see it as a PRP. It's a great idea. Aside from the Persona RP that RX was talking about, I'd be interested in the Acid Viridian. I remember when that PRP started on the old site and I was super disappointed that I didn't get involved. So I'd love to give it a shot. Yoshimitsu now has a twitter! Yes, this goes in RP discussion because they will be used for RP tingz. On the subject of my Seven Instruments RP plan, I have the main events of the early stages of it planned out, nothing I'm going to say here without making a big pile of spoilers. Though there is still one problem that has been bugging me for a while: The Treasure Guardians. How am I going to make them fit in? It's bad enough that they're legendaries. But you're supposed to beat them to get the treasures as well, something that would make the entire RP very Mary Sue. I figured that I could replace a few, like Giratina Kyogre and Groudon. Though that still leaves the rest, what to do with them might I ask? Abolish them, or keep them, any comments and suggestions on the matter would be helpful for this decision. Oh yeah, since you seem to be having trouble finding your Wind Elemental for your starsign RP Indie, I'm willing to pledge my services should you want them. That should fill up all the slots.